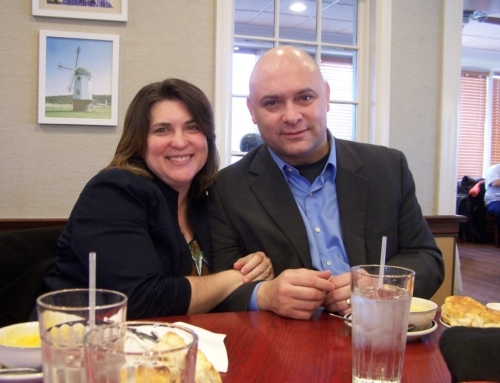 Early in 2004 Baptist Church Planter Missionaries, Steve and Becky Little, met with several church leaders from Open Door Baptist Church in New Woodstock, NY, as well as a few interested business men. The subject of the meeting was to discuss a possible church plant in the Canastota/Wampsville/Oneida area of New York State. In that meeting it was evident that the Lord was leading Open Door Baptist Church to become the Mother Church of the plant under the direction of Pastor Joseph Riggs. 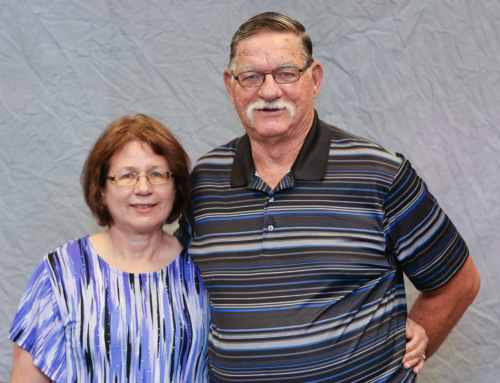 Baptist Church Planters Regional Field Director, John Little, would be the Mission Agency Director to help oversee the project, and Steve and Becky Little would be the BCP Church Planters to launch a new church plant. anuary 29, 2005, the first informational meeting was organized. Bible Studies began at the VFW from January 29, 2005- June 2005. Steve and Becky started to get to know the community in various ways. Becky volunteered at the Canastota Historical Society and the local library, and Steve began to reach out to men at the local coffee shop. On Sunday’s Becky organized children’s classes and a nursery. By June 2005 Heritage Baptist received its EIN number and began renting a storefront room at Sal’s Auto Center on State Rt. 5 in Canastota. After a few renovations, Sunday services began by the end of June 2005. 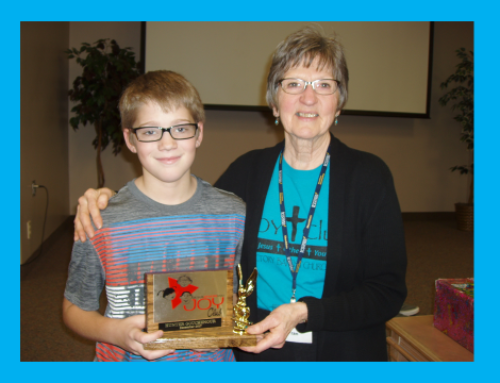 Becky organized ministries to women and special events to reach women. Heritage Baptist held services and outgrew the Sale’s Auto rental in 1 ½ years. 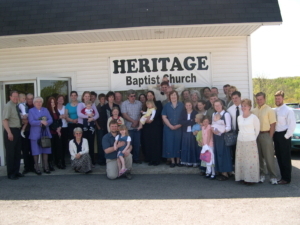 In January 2007 the old Lighthouse Baptist Church property in Wampsville, NY, was given to Heritage Baptist Church. The story is an amazing testimony of God’s oversight and the importance of a church covenant. The wise counsel and help from the new pastor at Open Door Baptist Church, Pastor David Deleon, its deacons and BCP Regional Field Director, John Little, were invaluable to the process. BCP’s ChurchCare Director, David Whipple, was also instrumental in the legal work to help handle 501c3 requirements for assuming responsibility of a failed church and how to handle church documents and properties legally. Once the legal work was underway, Heritage Baptist began renovating the old fellowship hall of the unkempt building and quickly began renovations of the remainder of the buildings. Besides building renovations, other areas of growth were occurring. Becky expanded children ministries, started a mid-week Patch the Pirate program, developed the music ministry and oversaw the teacher training program. During the renovations, Heritage Baptist received a $130,000 grant from BCP’s ChurchCare for renovations. By the end of 2008 the property was fully renovated, the old parsonage removed, a new gravel parking lot installed, and the 10-acre property was being mowed and purposefully used. 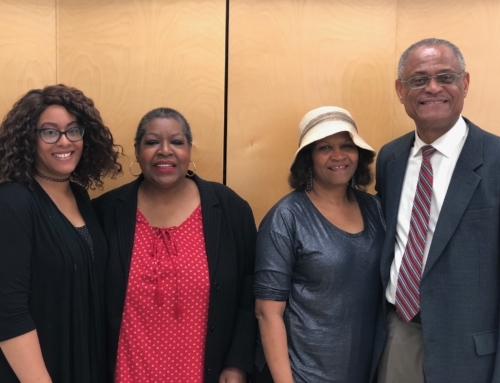 The village Mayor and village leaders were thankful for the renovations, and the Town Zoning Board and Zoning Officer applauded the work of Heritage Baptist Church in its community. The Mayor even spoke at the dedication of the renovated building. In 2010, Heritage voted to build a 10,000 square foot gymnasium/education wing. Construction began in 2011 and was finished in 2012. BCP/ChurchCare Builders Brent and Michelle Howard led the construction process along with other BCP builders. 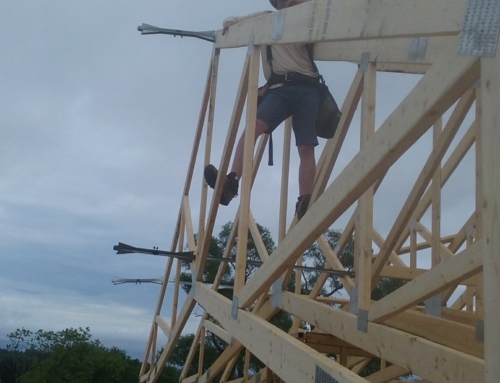 With the builders’ help, we came in under budget by $110,000! In March of 2014 Baptist Church Planters of Grafton, Ohio, asked Stephen Little to become the third president of Baptist Church Planters. Steve organized a pulpit committee at Heritage Baptist with the four deacons of the church, BCP Field Director, John Little, and Pastor David Deleon from Open Door Baptist Church. By December 2014, Pastor Jonathan Burns, Associate Pastor at Peoples Baptist Church in New Field, NY, was called to be the first pastor of Heritage Baptist Church. The Church voted to stay under mission status for the first 1-2 years under the leadership of Pastor Burns. On April 9, 2016, after eleven years of work and almost 1.2 million dollars of investment, Heritage Baptist Church graduated from mission status and became a self-sustaining Baptist church. The auditorium was full of God’s people giving praise to the Lord for all He has done. Open Door Baptist Church was the mother church of the project, and Senior Pastor David DeLeon was the keynote speaker for the service. Pastor James Depue spoke about the calling of HBC’s first pastor, Jonathan Burns. 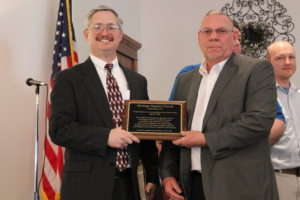 BCP’s Regional Field Director, John Little, presented a plaque to Pastor Burns and the church (pictured below). 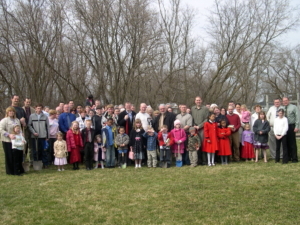 Many churches and individuals who supported the church plant were present. It was a great day! All the Glory & Praise goes to the Head of the Church, Jesus Christ!